Our highly trained staff is committed to providing exceptional customer service. You will notice that each staff member brings their own uniqueness to the office to help with patient care. Their longevity is proof that they all work well together to make for an efficient, friendly, and inviting environment. Jenn graduated from Hawkeye Community College in Waterloo, IA in 2001. 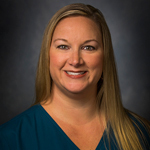 She has additional qualification in administering anesthesia and nitrous oxide. Jenn moved from eastern Iowa to Woodstock in 2001 and fell in love with the town and community. She enjoys working with people to improve health and wellness. Her goal is to provide gentle, quality care and helpful oral hygiene instruction; promote prevention; and create a positive overall dental experience for all ages. Jenn looks forward to every February when she finds community health opportunities to teach Woodstock children proper oral hygiene and nutrition. She enjoys spending time with her husband, 2 sons, extended family and friends, gardening, and home improvement projects. 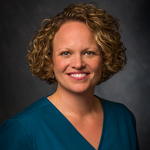 Vanessa received her Dental Hygiene degree in 2003 from Marquette University. She is certified in local anesthesia and nitrous oxide administration. 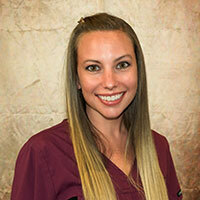 Vanessa is passionate about dental hygiene and improving the overall health of her patients. She loves working with patients of all ages and finds her job very rewarding. Vanessa grew up in McHenry and now resides in Loves Park with her husband and daughter. Outside of work, Vanessa enjoys hanging out with her family and friends, watching movies, reading or spending time outside. 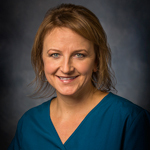 Jodi is a graduate of Illinois Central College Dental Hygiene Program. She is a career professional hygienist with over 30 years of patient-oriented care throughout the Midwest. She has extensive training in periodontal treatment, delivery of therapeutic periodontal agents, local anesthetic, sealant application and digital X-rays. Jodi is a responsible, courteous professional who continues to enjoy her life career position. She moved to the area in 2009 and is enjoying exploring the area. She has 2 daughters. Outside the office she enjoys golf, reading, gardening, and cooking. 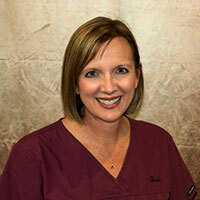 Helen has over 20 years of experience in the dental field and has worked the majority of those years with Dr. Emmons. Her welcoming and highly competent presence makes a great first impression as she focuses on great customer service. Helen grew up in the Schaumburg area, but now resides in Algonquin with her husband and dog. For enjoyment, she likes to read, hike, boat and travel with her family and friends. 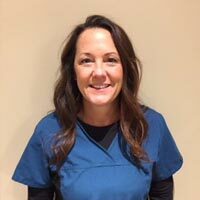 Corinne has worked in the dental field for over 17 years and has dental assistant experience along with front office experience. Her expanded duty assisting allows her to have more patient contact, which she enjoys. Corinne’s vast knowledge of dentistry and long history of working with Dr. Emmons help to make your dental visit as efficient and gentle as possible. Corinne grew up in the McHenry County area. She and her husband and 2 sons currently reside in Woodstock. Elaine graduated from a state college in Florida as an expanded functions certified dental assistant. Once she moved to Illinois, she took her national boards and became a Certified Dental Assistant (CDA). Elaine has been working in the dental field as an assistant for almost 10 years. She enjoys working with people of all ages and her sincere personality is sure to put our patients at ease. Outside of work, Elaine enjoys spending time with her 2 cats and watching Cubs games with her husband. 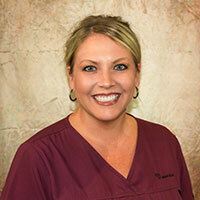 With over 15 years of working in dentistry, Jenny has been with Dr. Emmons for over 10 of those years. She has a contagious laugh which keeps the office a fun and friendly place. She enjoys running and spending time with her husband and 2 boys. Jenny has 3 dogs, 6 cats and 2 bearded dragons that keep her busy too. Felicia grew up in the area and graduated from Woodstock High School. She attended First Institute in their dental assisting program and did her externship here at City Square Dental. Upon her graduation, we offered her a permanent position. Felicia is an animal lover and used to ride and show horses. She enjoys movies and spending time with her many cats, dogs, and horse. 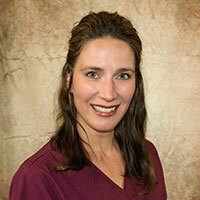 Julianne joins City Square Dental with over 20 years of dental experience as an assistant and front desk coordinator. 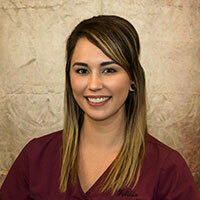 She enjoys all areas of dentistry, but especially loves being able to help and educate our patients. An Elk Grove native, she now resides in Huntley with her husband, 3 children and 2 dogs. She has been a mentor to many high school students and was an IHSA cheerleading coach for many years. In her spare time, she is a cross-fitter and supporter of dog rescue and adoption. 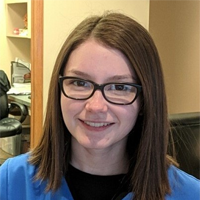 Lexi, a student at Woodstock North HS, has joined City Square Dental on a part time basis and is eager to help us in the clinic. She is a focused student that plans on attending McHenry County College then hopes to study dental hygiene at College of Lake County. In her spare time, she enjoys watching movies and spending time with her friends and family.